For those interested in chess history, here is an interesting article from "Sun.Star Cebu", written by Frank “Boy” Pestaño. The Café de la Regence in Paris was the favorite playing ground of chess players from all over Europe in the 18th and 19th centuries. 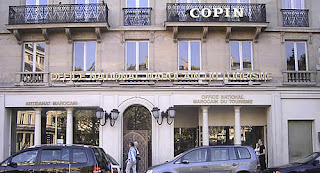 On one table was a brass plaque saying “Napoleon Bonaparte used to play at this table”. Although the would-be emperor was a first class military tactician and did love the game, he was a pretty rotten chess player. Those who have played him say that he was too impatient with little defensive skills and given to impetuous attacks. He was also a bad-tempered loser that is why his generals would let him win. 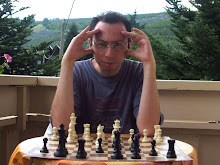 Another chess player is the unfortunate British Lt. Colonel Rall. The story goes that General Howe has just dealt Washington his worst defeat capturing 3,000 prisoners and was pushing down towards New Jersey with designs on Philadelphia. Washington, still retreating with a constantly diminishing force, suddenly turned upon Lt .Colonel Rall`s advanced corps of Hessians on Dec. 26, 1776 at Trenton and captured 1,000 prisoners. This was a major turning point in the American war of independence. What is known much later was that an Englishman who lived nearby sent his son with a note to Lt. Colonel Rall that Washington was preparing to attack him. Rall was busy playing chess, took the note and placed it in his pocket, unopened. Next day Washington attacked and won a great victory. Colonel Rall was killed and the note discovered in his pocket. Thus it can be said that the game of chess helped the Americans become independent!". Click here to read the full story. 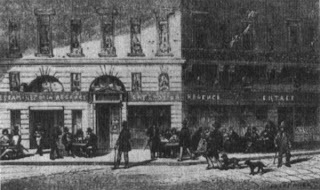 Speaking about Café de la Regence, all chess players know that it was an important European centre of chess in 18th and 19th centuries, located near Louvre and Palais Royal. This legendary "Coffee shop" doesn't exist anymore, but if you want to visit the place where it was, just remember that its location is 161 rue Saint-Honoré. You won't find any pub or shop at this address now, but the Morocco Tourist Office. If you want to eat or drink in a nice place very close to it, anyway, you just have to walk a few meters: Cafè Ruc, at number 159, is a comfortable restaurant. But you won't find any chessboard inside. Blindfold blunders at "Melody Amber"